Come and enjoy this beautiful condo overlooking the huge resort pool with beach-style entry at Bonita Village Resort. You will have your own spiral staircase leading to the resort pool and spa area. Bonita Village Resort offers guest a unique tropical atmosphere, a free beach shuttle, a great clubhouse with a state-of-the-art fitness center ,two pools and spas and just a great place to relax on your vacation. 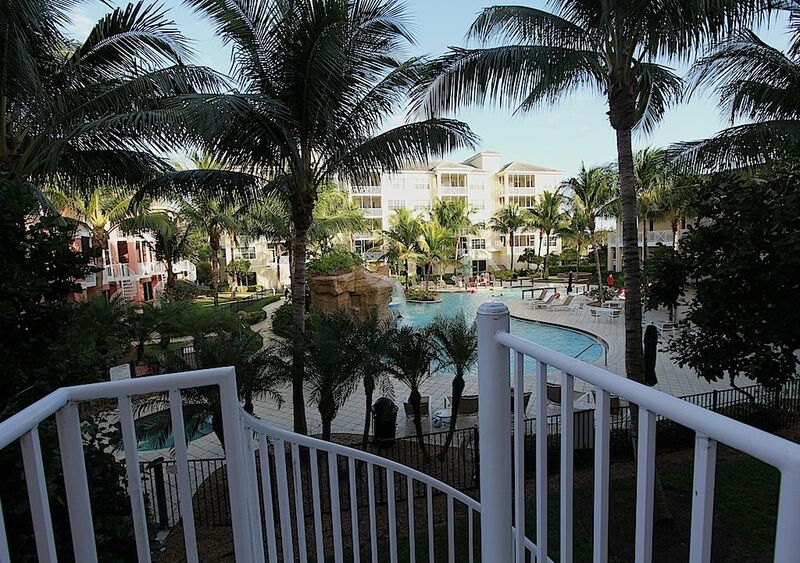 We invite you to make this beautiful condo and Bonita Village Resort your Southwest Florida Vacation destination! Free Beach Shuttle also will take you to the Grocery Store, Lover's Key State Park, and Coconut Point Mall. The Groggy Frog is our poolside Chickee Hut that serves casual fare and cold drinks.